We spent the early afternoon of 2 July birding two very large grassy fields inland from Sabya that Phil located as I was driving along the main Ad Dabi to Sabya road (17 07.58N, 42 41.62E). The fields were on the right hand side of the road going towards Sabya and had large pivot irrigation equipment stored by them. The fields were very green with tall plants growing in them and some quite wide tracks where the pivot irrigation wheels had driven. The area looked excellent for locating Zitting Cisticola, Singing Bushlarks and Arabian Sparrows and as soon as we were out of the car we heard Zitting Cisticola. They took a little time to get views of as they spent most of the time flying high in the sky and diving for cover but eventually a couple were seen perched on grass stems and others close by in flight with more than twenty birds seen in total. A walk across the fields soon produced 10+ Singing Bushlarks flushed from the grass and the small size and bright underwing coverts could clearly be seen. Several birds gave brief songs in flight but most were silent. 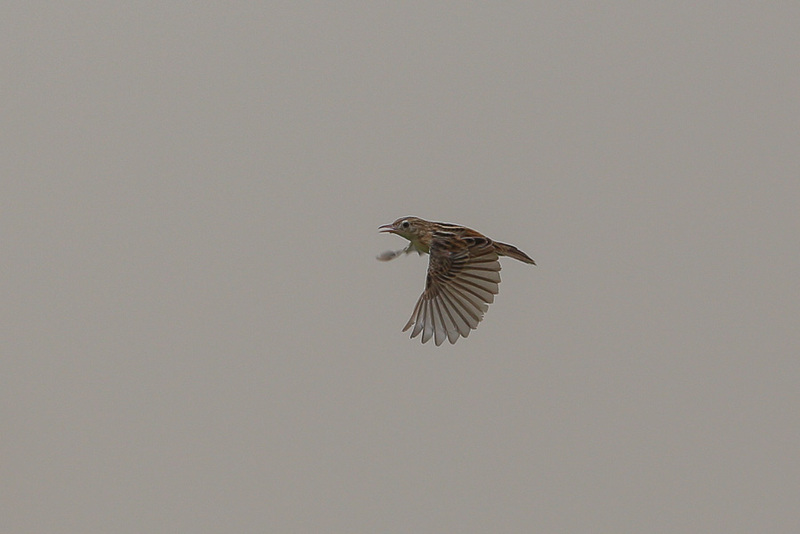 Two Crested larks were also seen for comparison. As I was walking down one of the tracks in the field I flushed a Small Buttonquail which gave good, but short, flight views and was not seen again (see previous comments on Small Buttonquail under Malaki Dam Lake account). The very small size, flight action and wing pattern gave the species identity away. Later we flushed a dark Quail and got reasonable views of a bird in flight and on the ground that looked like it may well have been Harlequin Quail. Common Quail could not be 100% eliminated but the time of year does not appear right for the migrant Common Quail, although we saw a number of what appeared to be unusually early migrants on this trip, hence no conclusive identity was given to the bird. 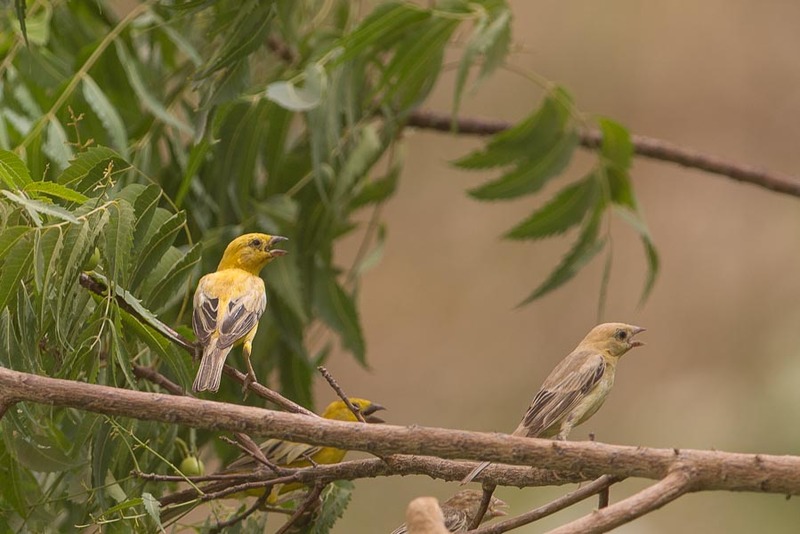 Phil then located a large flock of over 300 Arabian Golden Sparrows that were continually on the move and proved very difficult to photograph until a few flew into a nearby hedge, where they were less mobile. Next to the hedge we found a European Roller on a pivot irrigation water system, presumably a very early migrant and further along the same equipment there was a Pied Cuckoo with another two seen together further along the hedge. 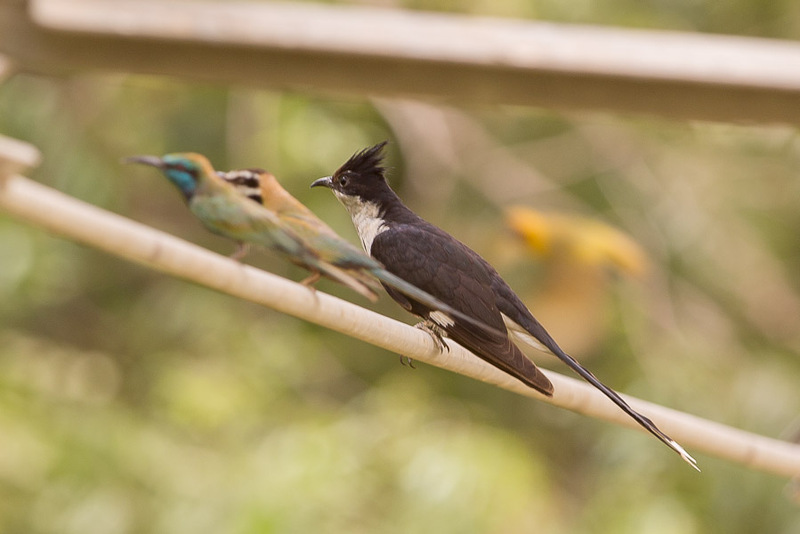 These birds are thought to be passage migrants through the area, mainly in May, but the sighting had us wondering if they were breeding in the area. 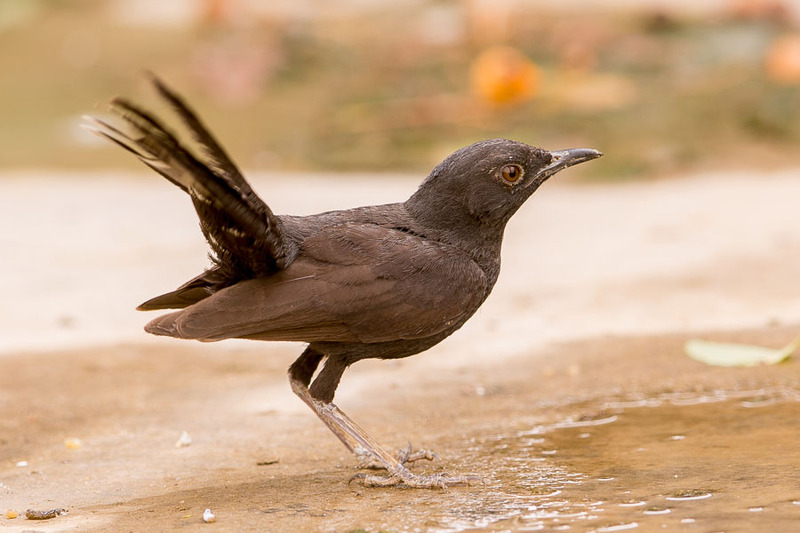 Breeding was later confirmed by Lou Regenmorter when he saw a young Pied Cuckoo in a different location near Abha being fed by a party of Arabian Babblers. 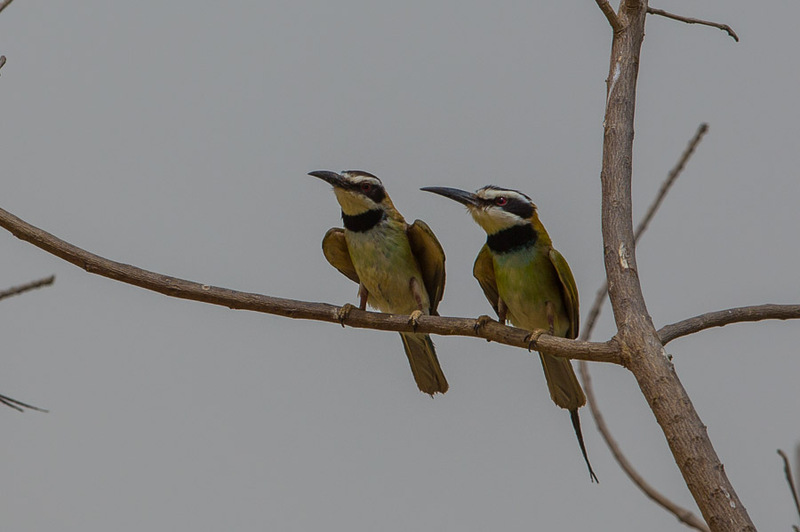 Other good birds seen included 15+ White-throated Bee-eaters, two Little Green Bee-eaters and two Black Bush Robins. 50+ Western Cattle Egrets, one Squacco Heron and several Crested Larks also present and four African Palm Swifts were flying about. Five Common Myna, 20+ Ruppell’s Weavers and several House Sparrows were also seen.